WEN aims to have a comprehensive and long-term view of the entire West End community, and encourages everyone to have the same — especially our elected officials and our public servants. 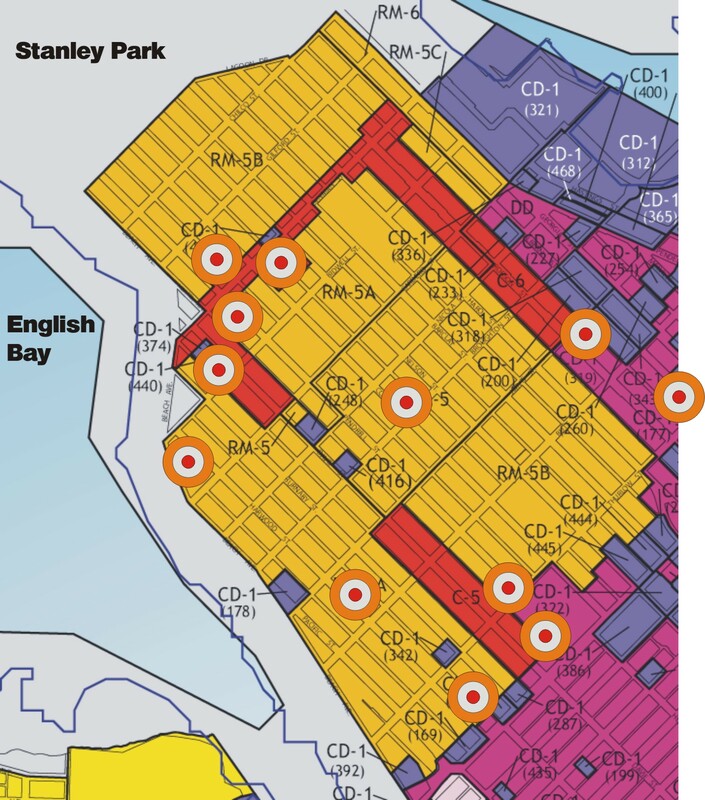 Over 12,000 people (as of October 1, 2011) have now signed the “No Rezoning Without a Comprehensive Plan” petition. Nevertheless, besides the high-profile rezonings the community is aware of, more issues are always coming forward. We’ll do our best to watch them and share information for the benefit of the community in the interest of a good public dialogue about the future of our community. There are almost 10 projects we’re watching now, with potentially 2,000 new residents in the West End. A few of these are construction of rental apartments under the STIR program (essentially, subsidies to developers to build expensive market-priced rentals), some are for new market-priced condos, some are mixed, and two are for conversion from hotel use to rental apartments. In each case where approval is being sought from our elected Mayor and ten Councillors for a rezoning or development application, the key question is this: What are the benefits and what are the costs to our community and to taxpayers?